“The Fishermen”, this painting was done in the beautiful fishing town of Constitución, Chile. 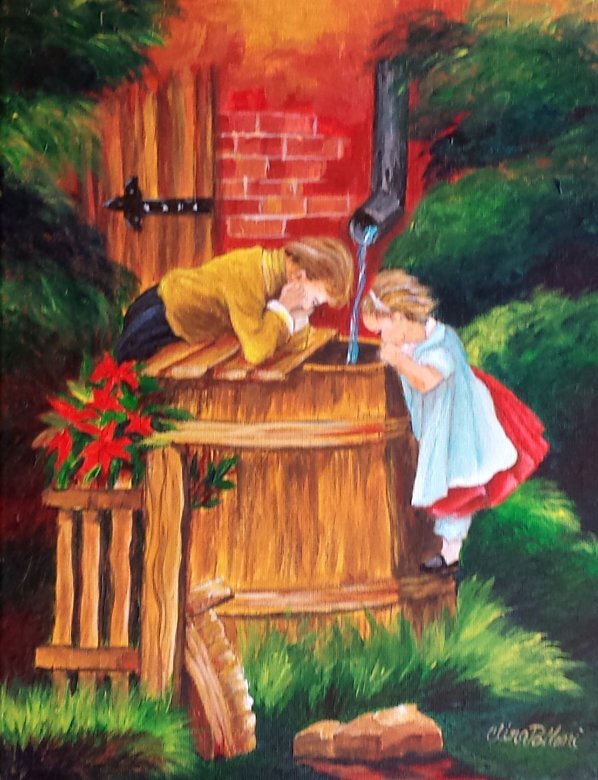 Based on a painting that my great-grandfather did in 1913. Bright and changing colors of the sunset, the fishermen were coming back with their rich catch on a summer evening after a day at the sea. Who could imagine that almost a hundred years after, this village was going to be destroyed by the fury of the waters, an earthquake and tsunami that killed 350 people in Constitución, Chile. March 1, 2010. Antonio Polloni, My Great Grandfather. He was a talented Chilean Artist. He painted with oils winning many prices for his art. In 1920 he received the 1st National Award for his self portrait “El Pobre Diablo” (“The Pour Devil”). He was also a very well known Chilean photographer, commissioned by the Chilean Navy, traveling through the Chilean territory taking panoramic photos, unifying his photos one by one in his laboratory creating a horizontal photo of the landscape. Clina Polloni 2017 Artist of the Year Award. Clina Polloni is a contemporary artist born in Chile. 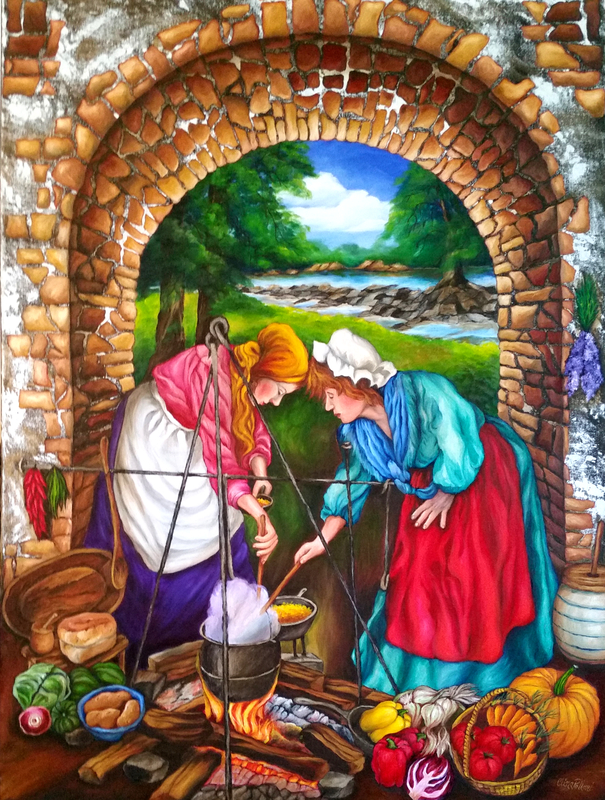 Her colorful oil paintings are inspired by her love for people, animals, and nature expressing her art through the canvas in oil painting. Her new project “The motif of the human figure” is a dialogue with natures light and colors. 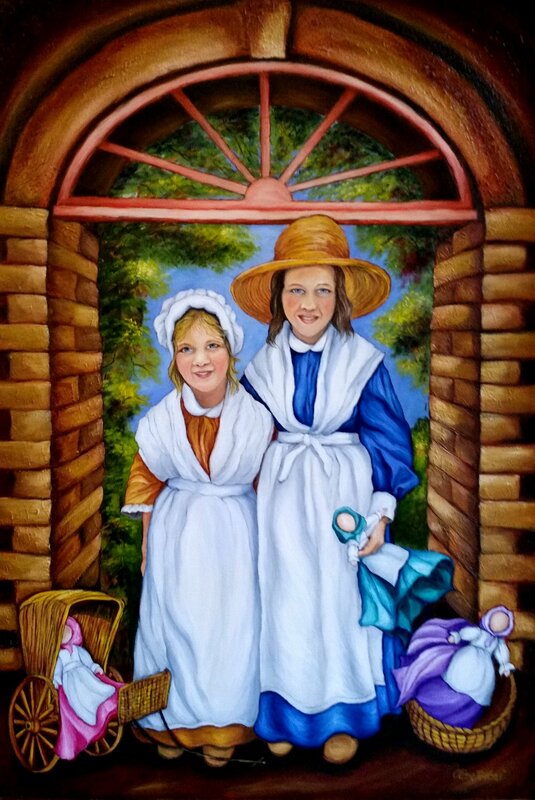 In her new paintings she is portraying the people of North Carolina in their environment and activities, representing a time and history of our state. Franklin County Arts Council Announces Artist of the Year. January 10, 2018 by Donna Campbell Smith. January 15, 2018 by Donna Campbell Smith. 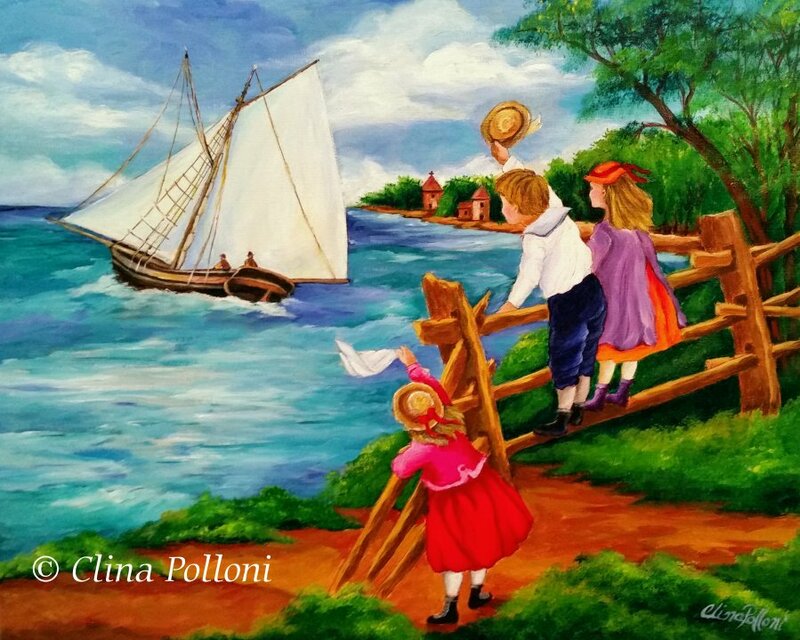 Artist Clina Polloni, originally from Chile, is based in North Carolina. Clina Polloni is a contemporary artist born and raised in Chile. Her colorful oil paintings are inspired by her love for people, animals and nature, expressing her art through the canvas in oil painting. Clina is currently working on a project she calls. 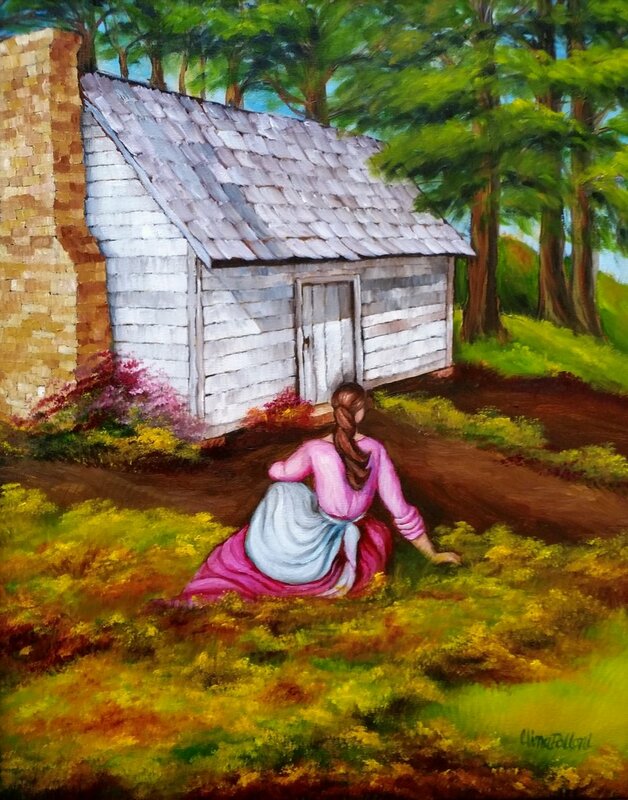 “The motif of the human figure in a dialogue with natures light and colors.” In these new paintings she is portraying the people of North Carolina in their environment and activities, representing a time and history of our State. Her colorful oil paintings are inspired by her love for people, animals and nature, expressing her art through the canvas in oil painting. 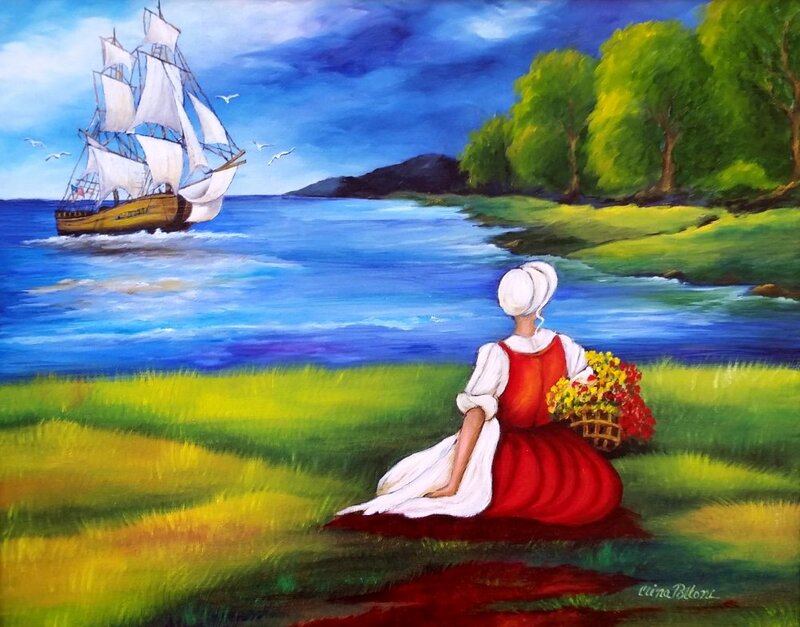 Clina enjoys impressionism as well as realism and has developed her own unique style, portraying the people of this land, surrounded by spectacular blues of the skies as well as a rainbow of bright colors. Clina’s art has been exhibited in many places, including the North Carolina State Capital. Clina’s list of achievements is impressive. In 2005, she won “The Pride of Our Community Award.” Each year, Univision 40 gives this award to someone that they believe is an example of excellence and perseverance in the Hispanic Community. In 2008 she received the “Latin American Women’s Excellence Award.” This award is presented by The Mental Health Association in North Carolina and The Latin American Women’s Club (LAWC) to recognize and support the efforts and talents of the Latin women, who with leadership and optimism work for the well-being of their community. In 2010, Clina Polloni exhibited at the North Carolina State Capitol in Raleigh and the Museum of the Cape Fear Historical Complex in Fayetteville, North Carolina. These exhibitions were presented by the North Carolina Historic Sites. On September 6, 2014 she donated her painting “9/11 Children Painting” to The US Military Veterans Foundation. The painting was used to raise almost $6,000 for a family in need. The painting was displayed at a total of eleven events and all day at Raleigh Country Club Army VS Navy Golf Tournament. Clina was named 2017 Artist of the Year by the Franklin County Arts Council for her outstanding contribution to the organization. In addition to her painting Clina teaches art classes. She says, “Teaching is something that fascinates me. To be able to transfer all this knowledge of art and to see the joy of the students admiring their work. 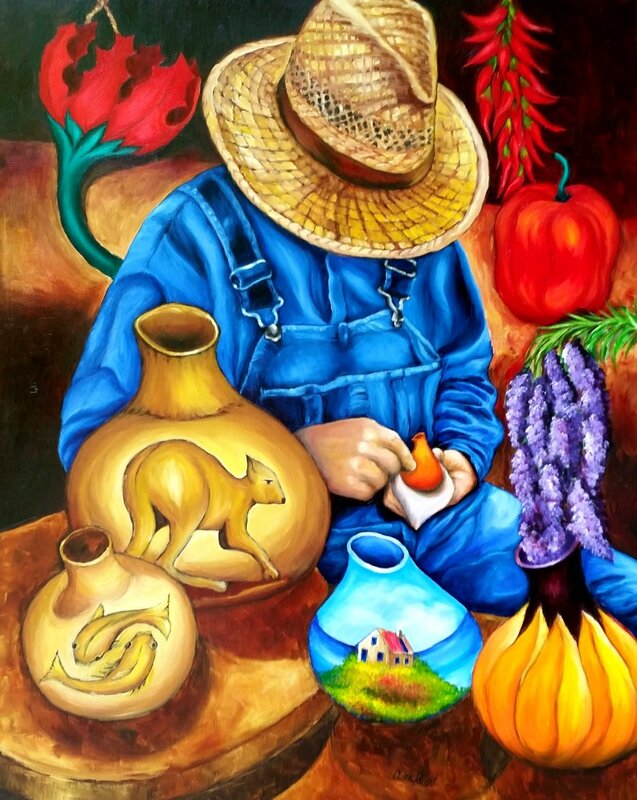 When teaching, I like to talk to the student, learn what is inside their feelings, what they want to express in a painting.” She teaches at her home studio at Marigold Plantation on 13 Garner Road, Franklinton NC. Visit her website at www.clinapolloni.com to learn more about Clina’s art and how to join her classes.